What to do with all those Herbs! Sometimes we have this grand plan to large bushes of herbs and many varieties and then when it comes to using them you only use a few leaves or stalks. Or am I the only one? This quick list of ideas might help you when you when we want to try a new cultural dish, add some freshness to cooked or baked dishes, or maybe you want to have all year round use of herbs to enjoy that extra deliciousness without buying from the grocery store. Of course this is one way to use those herbs! The thing is that we tend to just use a couple sprigs here and there and letting the rest rot or go to waste. Here are a few ideas on how to use more of them. 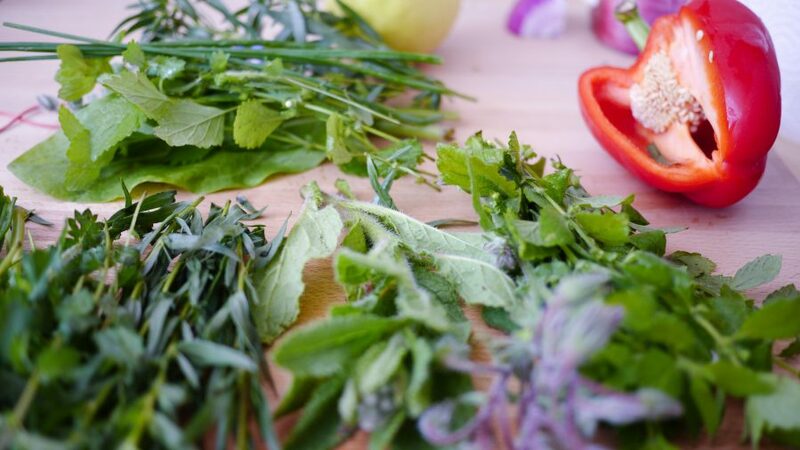 -Take a handful of herbs…yes handfuls…and mix them up in a salad. Make it part of your greens. Try to stick with parsley, cilantro, chervil, tarragon, mint, and dill since they are lighter. 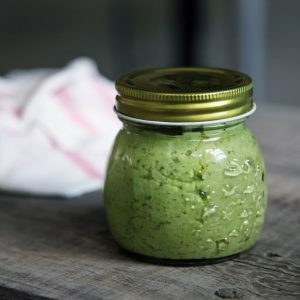 A vinaigrette would pair nicely as not to overwhelm or mask the flavor of the herbs with a thick Ranch for instance. Add some protein and viola! Also I love this one! For Herbs like parsley, basil, mint, and cilantro a great method of storing them to not degrade the flavor is by freezing. All you have to do is remove the leaves and discard the stem, and chop them according to how you envision using them in the future (soups, stir-frys, etc). Not generally good for fresh eating after thawing so think of a way you could use by cooking or baking. Another way that you can store herbs is by drying them first. First and foremost, remember to use containers that are clean and dry when storing herbs. An article I found is really helpful on how to dry herbs for storing. 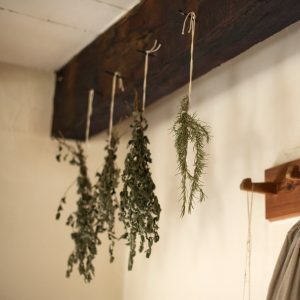 https://theherbalacademy.com/6-tips-for-storing-dried-herbs/There are a few ways of doing this but hanging them in loose bundles in an area that gets good air circulation until crispy dry is a great way to have a little bit of farmhouse feel decoration as well as readily available herbs to use. Slowly drying will help the keep the smell and taste integrity over a fast drying method in the oven. Read more on this Wiki How on how to store herbs. This is something that I don’t hear many people doing but it’s a great way to change up our coffee, tea, cocktails, dressings, and whatever your herbie heart desires! The two ways I like to do it is by making a simple syrup or infusing an oil. You can make edible oils or just massage oils! Do not buy a simple syrup in the store ever again! Use this for cocktails, coffee, tea, or something you want to sweeten up and impart the flavor of whatever you infused. +Now add your flavor! Rosemary, lavender, mint, ALL THREE?! Bring it to a boil and once the sugar is dissolved (will be really quick) take off heat. I like to let it sit with the herbs in there until room temp and then strain into whatever clean container with a snug lid I have. Keep it in the fridge! You can blend the herbs in the oil (EVOO could be really strong and over power the herb taste so a more neutral oil is best) and then bring to a boil. Sieve out the herbs through coffee filter and store! I always try to keep the oil away from the sun and even chill it in fridge so it lasts longer. You can also just put herbs in oil and let it sit until the flavor is in the oil. Jojoba oil and olive oils tend to have long shelf lives so its good for making massage oils, hair treatments, salves, etc. Mountain Rose Herbs has a great article on this! Two of our employees have a great business that make herbal teas! 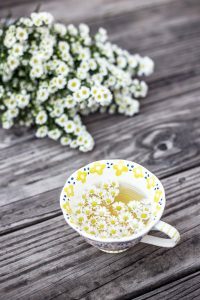 Here is a file you can browse to look at few recommendations for annual and perennial herbs to grow and uses for tea! Whatever you want to do with your herbs, go for it! Experiment! If you don’t have time to use them, start giving them away! I love the gift of fresh herbs with some flowers! We have some really great people here at Drummers so when you are picking up seed or a potted herb plant ask someone what they use a specific herb for.